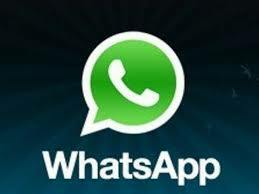 WhatsApp, a cross-platform messaging product that allows users to send free texts and MMS, passed 250 million active users. With no marketing budget, it speaks to product benefits and word of mouth. How many CMOs will get asked to do the same? And how many will? Fast Company says that people who unplug over the weekend have higher satisfaction with life. I read that on Twitter on Saturday. On the first day of summer, I see a webinar called to talk using mobile in holiday season programs. Too soon? Hardly. Planning rocks. I wonder how much more popular The Sopranos would've been if it initially aired during the social-mobile sharing, commenting era. Lots, no doubt. Five million Instagram videos were uploaded in the first 24 hours. Way too many gave us a video essay of a lunch choice. Spare us. Do you use an iPhone and an Android tablet? If so, you're unique, according to Forrester. I don’t. I was surprised by a piece asking if ROI can be measured on mobile marketing and advertising. We have that far to go? Favorite recent headline: Mobile Transactions To Top $3.2 Trillion In 2017...Unless They Don't. My take - exactly. Hyped category. According to top industry analyst Chetan Sharma, SMBs save over 40 minutes a day per worker with mobile devices, apps, and the cloud. Facebook has hit 1 million advertisers and its move to simplify ad choices should fuel more growth. Meanwhile, the average age of a Facebook user is 41. So it’s not the ideal vehicle for reaching teens or those in 20’s. Only 2 percent of the top 500 online retailers use responsive design to serve smartphone visitors – the vast majority have opted for mobile-specific sites. Nearly half of the U.S. ecommerce traffic comes via mobile: comScore. That's in-store and out - and bound to expand. AT&T has launched temporary charging stations across New York City. Confident enough to put your phone down in Big Apple? Tagged with whatsapp, Facebook, Forrester, Twitter. June 23, 2013 by Jeff Hasen.